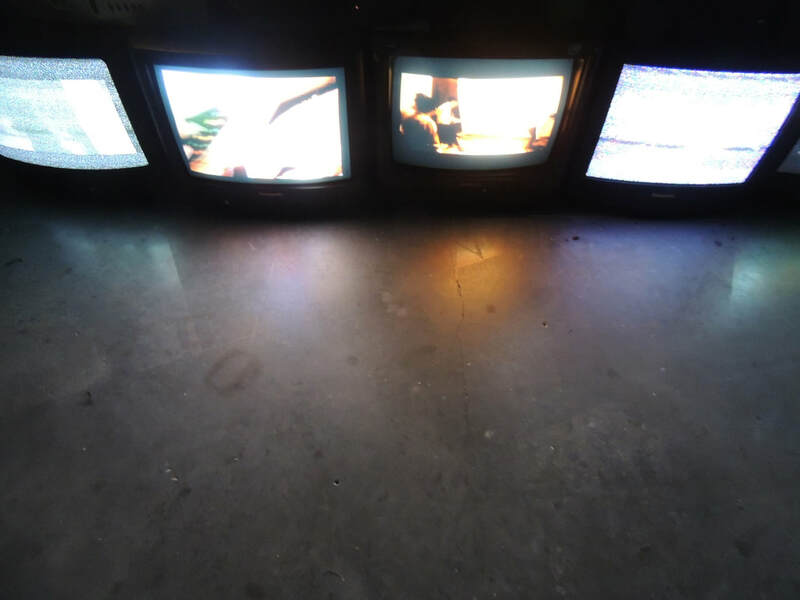 Description of Exhibition: The Philadelphia-based artistic collaborative Little Berlin repurposes the Hennessy Project Space as an improvised art space for Little White Cubes, a curatorial project that contextualizes the gallery as work of art or creative medium. 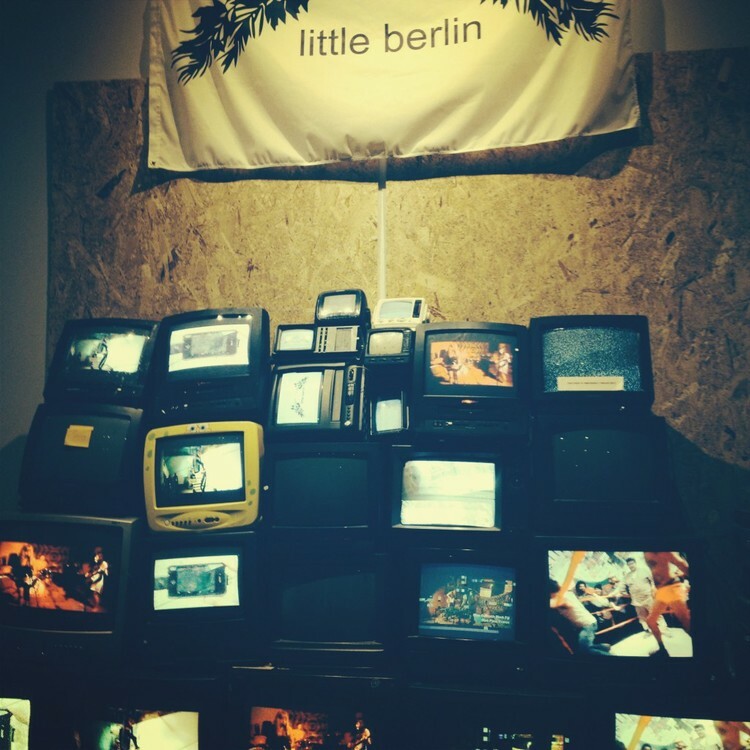 Founded in 2007 by two artists, Little Berlin identifies itself as an “undefined exhibition space” run by approximately ten members who approach curating from a creative, collaborative perspective. Current Little Berlin members treat the DCCA gallery as a makeshift satellite of the actual gallery located in Philadelphia’s Kensington neighborhood. 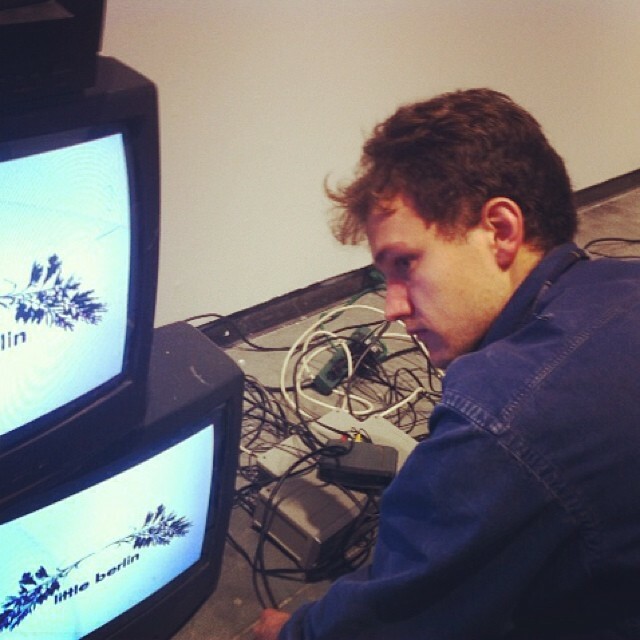 Installing a TV stack for screening documentation of prior events, a “zine” library with armchair seating, a live video feed, and performance area in the gallery, Little Berlin’s treatment of the museum space exemplifies new media experimentation coupled with a do-it-yourself ethos. Many artists have subverted the presumed neutrality of the “white cube” exhibition space by parodying or critiquing the authority behind a museum’s institutional framework. In 1970, Tom Marioni invented the Museum of Conceptual Art in San Francisco and began his social sculpture, Drinking Beer with Friends is the Highest Form of Art. Kate Ericson and Mel Ziegler’s MoMA Whites (1990) featured a gallery painted with different colors of white preferred by various curators of the Museum of Modern Art. Adopting a paraprofessional identity and working in the genre of Institutional Critique, in the 1990s artist Andrea Frasier delivered a tour as a museum docent, deconstructing museological education and calling the traditional role of the artist into question. Other contemporary artists of the 2000s, such as the Yes Men duo, appropriate corporate identity in order to camouflage themselves as business CEOs in various settings. In current socially engaged artistic practice, many artists increasingly eschew the title of Artist altogether, announcing themselves as politicians, farmers, or urban planners, for example, who treat the gallery as civic center, community garden, or public design studio. 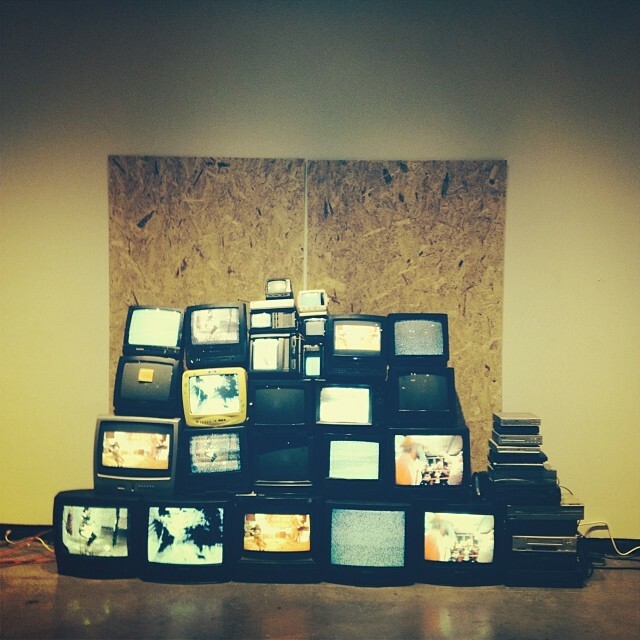 Description of the installation: TV Wall was constructed for a group show at the DCCA in Wilmington, DE to showcase the various exhibitions held by the Philadelphia artist collective, Little Berlin. 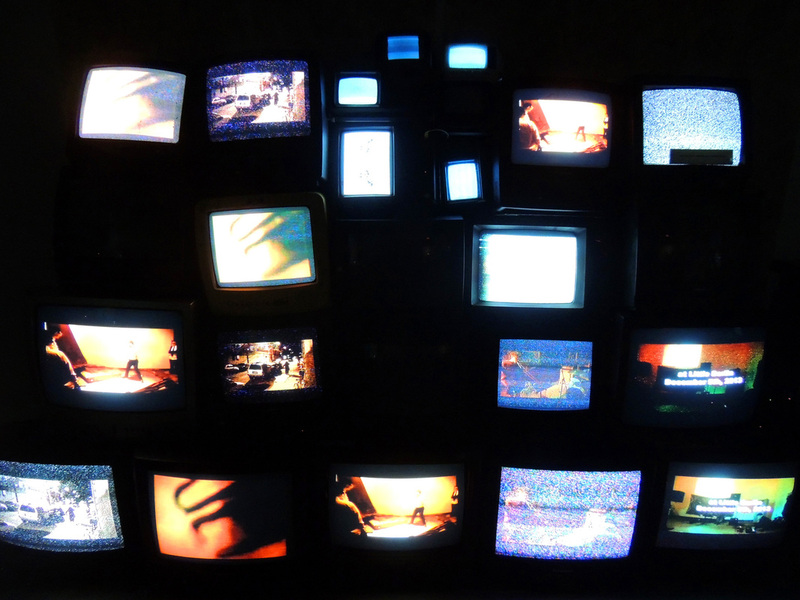 6 channels of video were wired to run through 26 old CRT displays. 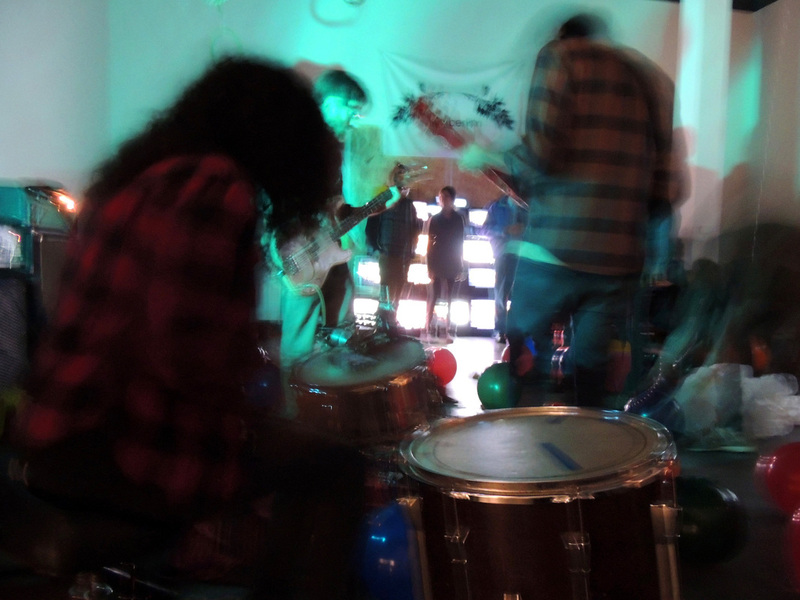 The media ranged from video art made by Little Berlin’s members, walkthroughs of various exhibitions, rock shows and performance art, scenes from a wrestling match that the members participated in, and much more. 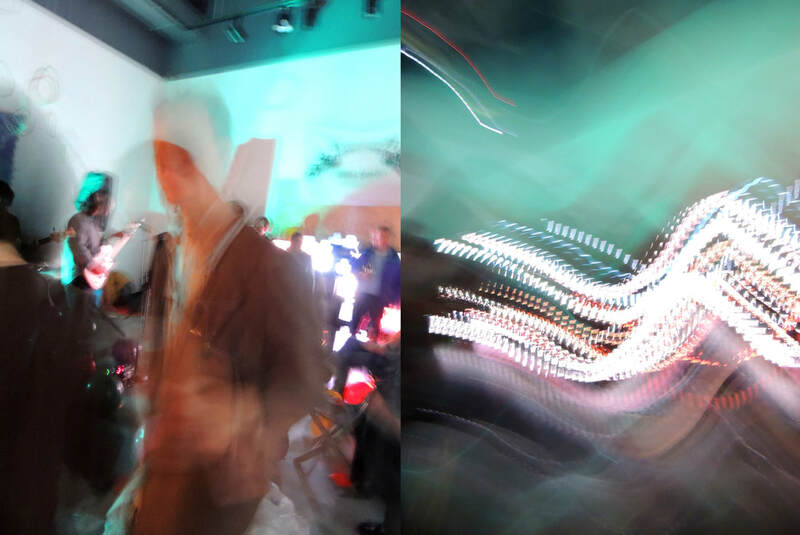 Through the combined media displayed, the audience was then exposed to the full experience of attending a Little Berlin event in its Philadelphia warehouse gallery space.